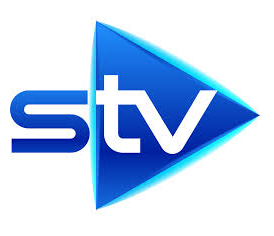 STV’s city TV channels, STV Glasgow and STV Edinburgh, are enhancing their schedules for viewers in Scotland’s largest cities with extended transmission hours, additional news bulletins and sport. Starting Monday 2nd March 2015, STV Glasgow and STV Edinburgh will start from 07:00, with hourly news bulletins from midday on weekdays. Some programmes will now be shared between the two local TV stations: at 18:00, 20:00 and 22:00, 30 minute news programmes will bring viewers across central Scotland all the latest updates. The enhanced schedule will also include The Peter and Roughie Saturday Show with pitch side updates from SPFL matches across all four divisions from Peter Martin and Alan Rough each Saturday. The Riverside Show will continue to air week day evenings from 19:00 to 20:00 on STV Glasgow, with The Fountainbridge Show airing at the same time on STV Edinburgh. At 20:30 each week night original, locally produced content will be broadcast across both channels; The People’s History Show on Mondays; Jak & Eddie’s Scottish Kitchen on Tuesdays; My Life in 10 Pictures on Wednesdays; Grass Roots Music on Thursdays; and Ch-Ewen the Fat with The Fountainbridge Show co-host Ewen Cameron on Fridays. From 07:00 each weekday morning, and 09:00 at weekends, STV Glasgow and STV Edinburgh will showcase a range of popular children's programmes made by STV including, Meeow, Butterfingers, Uncle Dad and Harry and the Wrinklies. Weekends will feature Scottish Parliament This Week.